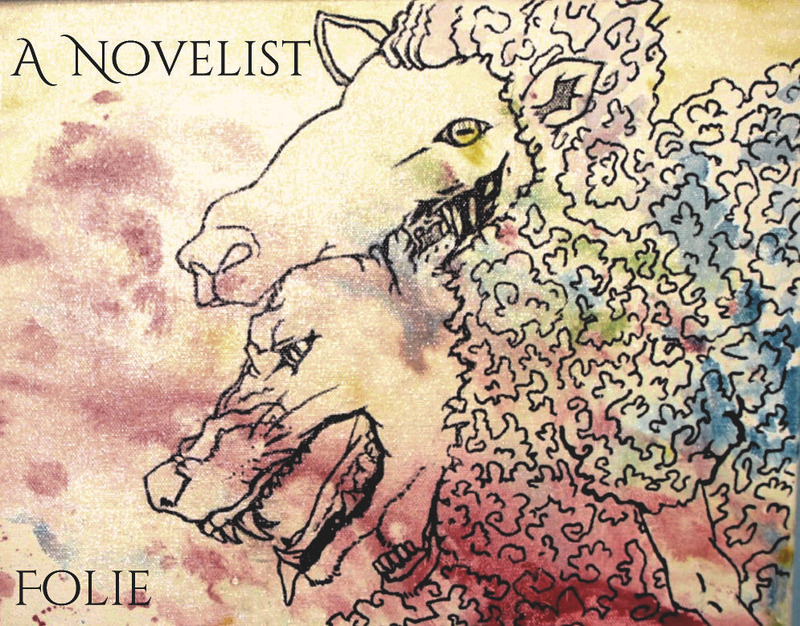 A Novelist share an impressive second album of death-ish progressive metal. If they expanded from their duo format, they could have a bright future. One would perhaps exercise a surfeit of triteness in saying Folie was the album people wanted Automata to have been last year. Louisiana’s A Novelist are not quite on the same level as Between The Buried And Me (and the first Automata album was quite good, in all fairness) yet they play in the same space: diversely progressive metal that straddles the line between deathliness and a more orthodox sound. A Novelist use fewer keyboards. Their style is firmly driven by the guitars. The similarities are nonetheless striking. Being a younger band, A Novelist can be forgiven for having less originality since their lack thereof does not overshadow the writing, and their use of a very familiar form of metallic expression shows a lot of boldness for a band making their second album. Any conscious foray into an overpopulated area comes with risks. For their risk, we get rewarded thus. “His Kingdom is Vast” encapsulates Folie in one song. Diverse guitar-playing styles, frantic drumming, elongated melodies, and an overarching synth motif that sounds like an accordion (possibly the BTBAM influence at work). Other songs, “Strangers in the House of Auto-da-Fe” for example, show off A Novelist’s sense of rhythm, something which might have been influenced by their Louisiana roots (bonus other example of this: “Acacia Crown” has a blues organ). Their bass playing mostly covers the pedal notes while neither sounding overly basic, nor aping the guitars. This would be where it would pay to give a bit more background about A Novelist. They are a duo, guitarist/vocalist/multi-instrumentalist Ben Nugent and drummer Alex Babineaux. They started playing straight death metal and moved into their current progressive direction more recently. Their progressive move shows a great deal of diversity considering considering that only two people were involved in writing Folie, but with only two musicians in the band, this creativity might be short-lived. Leave aside obvious issues about their (in)ability to tour as a duo, since the album is under review here. One can argue either way about people who write music that was never meant to be played live and neither side would have anything relevant to say in this space. Two musicians (let alone one) have a limited number of musical ideas; maybe enough to fill two albums that A Novelist made with good material, but sooner or later a band that has a limited number of writers and collaborators will settle into a pattern and have maybe only one or two good tracks on albums filled with filler. Folie might end up being A Novelist‘s last good album. Don’t believe me? The scene abounds with examples far more prominent and far more established than A Novelist. Megadeth have suffered from one insufferable individual’s incestuous navel-gazing since the 80s and the result has been a double-digit number of lame albums filled with mostly weak songs and a lot of guitar solos. Post-Portnoy Dream Theater has relied on the writing of John Petrucci and Jordan Rudess alone, and as good as their albums might have been, DT fans would be the first to admit the band is not in its golden age. Someone might mention Lennon & McCartney or Devin Townsend, and it would be sufficient to say outliers hardly matter when discussing A Novelist. Until A Novelist make the new Epicloud or Sgt. Pepper’s, we can still ask if Folie will be their last good album. Consider Periphery. Misha Mansour was an innovator, whose early Bulb demos built a fan base that still has hundreds of members today. He decided to make a touring band with a (mostly) stable lineup and brilliant musical collaborators to boot; and it was in this format that he ultimately changed metal for the better. A Novelist show potential to do the same thing on Folie. One would hope they will consider the possibilities of allowing new ideas into their sound. This means their music is untainted by the realities of touring and more importantly, the smaller number of heads put together to make Folie means A Novelist risk running out of ideas sooner or later. Strangely for a duo and thus, what might seem to be a ‘hobby’ band rather than a touring band, A Novelist is not a basement/internet band. They hired engineer Jamie King (whose credits include work with Between The Buried And Me) to record Folie. If they are serious enough about their music to get a quality engineer into their corner, then they ought to have the same impetus to get enough members to make A Novelist a realistic going concern. The only reason to harp on this one point would be because A Novelist show so much promise on Folie. It is a work of high quality progressive metal with just enough of a hint of the band’s death metal origins to give it edge, all without making it ‘edgy’. Moreover, they show the capacity to become so much more than a recordings-only duo. One often says when reviewing new albums that writing lies at the core of everything that matters, but this should not keep us from considering what the writing is for. Is Folie meant to played in a way that will live among the masses, or will it only exist to be admired as if it were in a museum? Only time will tell. Previous PostLillake - "Memory Lies"